Sleep Apnea is a health condition where a person will stop breathing on a periodical basis during sleep. These pauses in the breathing pattern can happen several times over the course of a night, and even up to hundreds of times during the night. The person will wake up abruptly from sleep because he/she cannot get enough air into the lungs. However, when sleep apnea is more serious and a person is woken up several times per night because of such a breathing problem, sleep quality is extremely poor and the person will not wake up refreshed and energized in the morning. There are three main types of sleep apnea: OSA- Obstructive Sleep Apnea, Central Sleep Apnea, and Mixed Apnea. Keep reading to find out the main symptoms and causes of each type of apnea. Obstructive Sleep Apnea is when there is a partial or full blockage of the airways during the sleep phase. When sleeping, the muscles in your throat will relax and this allows the tongue and surrounding fatty tissues from the throat to actually fall back and block the airflow into the throat/lungs. When this happens, the person will wake up gasping for air or even having sensations of choking. Depending on the severity of the condition, such blockages can happen a few times or even dozens of times during the night. There is Mild, Moderate and Severe OSA as medically categorized. Mild OSA is when a patient experiences anything between 5 and up to 15 such episodes of breathing cessation. Moderate OSA is when a person experiences up to 30 breathing cessation episodes, while persons experiencing 30+ breathing cessations over the course of a night suffer from Severe Obstructive Sleep Apnea. Some of the main symptoms of Obstructive Sleep Apnea include loud snoring, very frequent pauses in breathing which are caused by an obstruction, daytime fatigue/sleepiness, headaches in the morning, restless sleep, and even irritability or depression can occur. After required consultation, your doctor may prescribe any of the following courses of treatment: PAP therapy such as the use of a CPAP or APAP machine, wearing oral appliances or even surgery. When the brain stops sending signals on a temporary basis to the breathing muscles this is when CSA- Central Sleep Apnea occurs. CSA is basically a brain –breathing muscles communication-related issue, while OSA is regarded as a mechanical problem caused by obstructions. Central Sleep Apnea is a less common health condition than OSA, and according to statistics well below 20% of all apnea conditions are Central Sleep Apnea problems. The main symptoms of CSA include the following: irregular breathing during sleep or the breathing stops temporarily, daytime drowsiness, shortness of breath during sleep, morning headaches, restless sleeping, changes in the mood, chronic fatigue, concentration problems, and also snoring. There are several underlying more serious health conditions that can lead to Central Sleep Apneas and these include Parkinson’s disease, obesity, heart complications, regular use of narcotic-based painkillers stroke or certain conditions that affect the brain. Men are more predisposed to developing CS than women, and this condition is more prevalent in older adults than in younger people. Patients with heart complications such as congestive heart failure or atrial fibrillation are also at higher risk of developing Central Sleep Apnea. The first course of treatment for OSA is actually trying to treat the underlying condition that causes CSA in the first place. Then, the use of a CPAP might also be recommended by your doctor. The CPAP device is equipped with a mask that you need to wear while you sleep. Then, the minimum required air pressure will be delivered through the mask and right into your airways in order to maintain them open at all times. 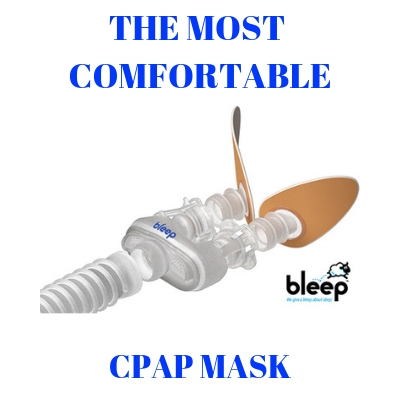 Patients who find it difficult to breathe out against a higher pressure coming from the CPAP device might be prescribed the use of a BiPAP machine. The BiPAP is capable of delivering two different pressures: a higher pressure upon inhalation that is needed to maintain the airways open and prevent collapsing, and a much gentler pressure upon exhalation so that the patient can breathe out without a great effort. ASV or Adaptive Servo-Ventilation is a medical grade device which helps in monitoring the breathing cycle and adjusts airflow following the patient’s natural breathing pattern. In cases when positive airway pressure therapy is not efficient, doctors may prescribe special medication which helps the stimulation of breathing in patients with CSA. Also known as Complex Sleep Apnea, this condition is a combination of OSA and CSA. Patients who get treatment for Obstructive Sleep Apnea through the use of a CPAP machine can develop certain symptoms of Central Sleep Apnea. Studies have shown that many patients who were initially treated for Obstructive Sleep Apnea struggled in fact with Complex Apnea- a mixture of signs and symptoms from both types of apneas. 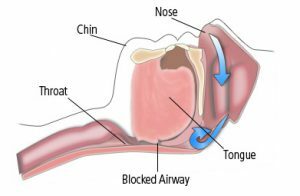 The airway of the patients has been successfully open to prevent obstructions, but they still struggled with difficulty in breathing and this is when they were diagnosed with Mixed Sleep Apnea instead of just OSA. The best course of treatment for mixed sleep apnea is therapy with the help of a CPAP. However, for patients with mixed apnea, the physician needs to set the machine at the minimum required setting so that obstructions are successfully prevented, yet they will not experience CSA symptoms due to a higher pressure. Adaptive servo-ventilation or BiPAP devices may be prescribed whenever the CPAP therapy is not successful. Adaptive servo-ventilation is a more complex and advanced system, capable of monitoring and assisting the patient on a breath by breath basis and changing settings according to individual breathing needs. Obstructive Sleep Apnea, Central Sleep Apnea or Mixed Sleep Apnea must be diagnosed correctly so that patients can receive the most appropriate and efficient type of treatment. In order to get diagnosed, patients need to go through an overnight sleep clinic study, where their breathing will be monitored over the course of a full night and only then can patients receive proper diagnosis and treatment. Had sleep study and diagnosis is mild OSA at 6. ODI is 5. Lowest saturation is 74% and 18% saturation of less than 90%. PR ranges=52 and 72.7% spent in supine. Significant nocturnal hypoxemia. What machine would you recommend and cost please? This was a home sleep study. Thank you!